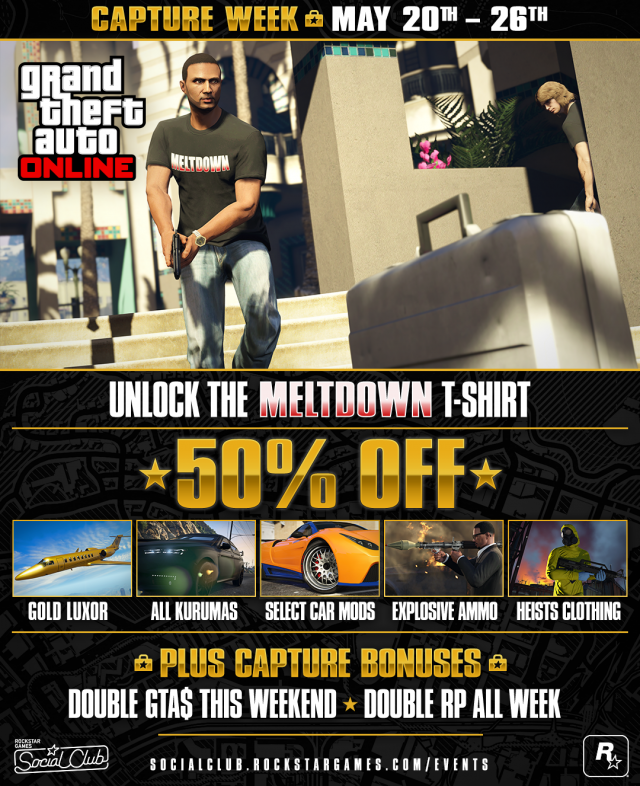 Simply log in to GTA Online at any point this week to unlock an exclusive in-game t-shirt for the Solomon Richards box office hit Meltdown. This t-shirt is only available as part of Capture Week, so do not miss out. Fly the not-so-friendly skies in lavish opulence, lighting cigars and clinking glasses of Blêuter`d with cohorts knowing full well that your luxury aircraft came at a not-so-luxury price. The Gold Luxor will be yours to keep for half the cost of its retail value. Lightning quick, handles like a dream, and with the addition of hood-to-trunk armor plating, the Kuruma comes built to last. Visit Southern San Andreas Super Autos (make sure you have completed the Fleeca Job Heist first) for a cool 50% discount off this coveted car all this week. Both the Stock and Armored Kuruma are available with this discount, making invading or evading the opposing side a bit easier when grabbing the prize. Make sure your wheels of choice are primed to the top specs. With 50% off Engine upgrades, Turbo mods and Brakes your getaway driver will thank you for taking full advantage. Couture criminals looking to make an impression on the Job should capitalize on the 50% off discount on Clothing from GTA Online: Heists and up to 50% off on Heists Outfits. Grab the Coveralls at half-off, and shop the full range of clothing whether your look is tactical, stealth or formal. Stock up on incendiaries from Ammu-Nation this week including Grenades, Sticky Bombs, Proximity Mines and Rockets to keep all your rivals at bay in Freemode. Enjoy and hit up the ! GTA Online Capture Week - More RP. 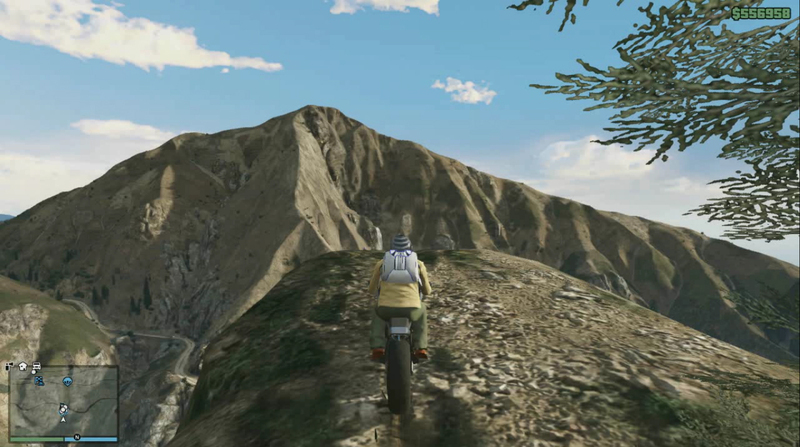 More GTA$. More discounts. More bonuses. Captures. Need we say more?